It seems like, there is currently no source for price stats we can use with EDK so i decided to write a script that does fetch all prices from eve-central and imports them. This is work in Progress! Maybe someone that actually knows how to write php can take this as an inspiration. This script is intended to be run maybe once a week beacause the execution time is roughly 12 minutes, so also nothing any free hoster will allow you to do. It uses cURL and there is no fall-back. Since i did want to use the original classes for importing prices it will generate a xml file in cache that uses the same formatting as compared to the no-ip file we are using by default. What does the script actually do and why does it take so long? Well first of all it will query the KB Database to get all typeIDs from kb3_invtypes that have a marketGroup (Thanks Salvoxia). Then it splits the list into chunks of 25 typeids and uses those to query prices from eve-central (25 at once) right know only from the forge (regionid can be changed multiples can be used but its hard coded right now). Whenever one of the 25 does not exist, eve-central will give an error message and not the values for the other ones, in this case i do 25 separate calls to figure out which one causes the problem. Theres a 1 second waiting time in between calls not to hammer the eve central server to much. After all that is done, everything is written to a file marketdata<date>.xml in the cache folder and from there it's being imported using the built-in fetch_value functionality, so the last line will be something linke xxxx values updates. Not needed anymore... 2. Provide something like a blacklist (items that do exist in the EDK database but not on eve central) or a whitelist coming frome somewhere alse but the EDK database. Credit goes to the development team of EDK as most of the code is already used in other cronjobs and Fuzzysteve (who documented the API usage in PHP fuzzwork.co.uk). - Added an option to use not just the Forge but multiple regions (takes slightly longer ~ +3 minutes). Last edited by prometh on Thu Nov 20, 2014 11:42, edited 4 times in total. wow, thank you for your work! It really makes me happy to see community contributions! It's quite a coincidence that I just pushed a new item value fetcher to the repo (scheduled for release in the Phoebe Update on Tuesday). 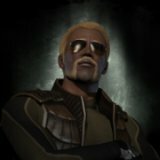 This fetcher is designed to query the CREST endpoint for average item prices (https://public-crest.eveonline.com/market/prices/) which returns the same prices used ingame for displaying item values. Of course prices from eve-central are more up-to-date and even more accurate if you like Jita Prices, CREST data is more complete (and the run time is < 1second ). So now one can choose which fetcher to use! For using the SDE with PHP I suggest getting a MySQL conversion (EDK database is based on Fuzzysteve's conversion: https://www.fuzzwork.co.uk/dump/). But if all you need are typeIDs that are available in the market take a look at the killboard's kb3_invtypes table. All items with marketGroupID != NULL should have a price in the ingame market. typeID 367477 can not be querried. typeID 367489 can not be querried. typeID 367541 can not be querried. Guess that's some recently added Dust stuff. ...and the Execution time is down to about 12 minutes so it might be something that can be used as a cron job maybe once a day. I tested it on a windows machine as well and after fetching the price data it threw an exception because of the directory separators (slashes) in the path to the XML file. The cronjob already sets the include_path depnding on the OS, perhaps you could set yourself the correct directory separator there and make it work for windows machines as well? Sorry about that, but the script takes quite long and if your php max execution time does not allow this it won't work. If you have access to it you can try to increase or disable the limit usually in /etc/php5/cli/php.ini when executing it as a cron job or /etc/php5/apache2/php.ini when calling it in a browser. Otherwise you can at least use the prices using the link to the xml file for the import in the values section of the admin panel. Btw. Salvoxia do you know which line causes the problem under windows? Was the xml written? I think the problem should be the line that uses file://... to import it? Thanks.